Cold War was nominated for three Academy Awards this past year: Best Cinematography, Best Director, and Best Foreign Film. Roma won all three of those categories, and in my opinion, more than deserved it. Both films have a lot in common, at least superficially; they are both foreign language, both black & white, feature female leads, one is the 50s one is the 70s, a bit slow, rely on the artistry of the director, I could go on. But Roma held an honest passion that stirred my soul from the first scene onward, a strength and a charm that hooked me in, despite how extremely personal the story was, and how deliberate the pace moved along. Cold War wasn’t able to do the same, giving us a beautiful love story against a fascinating backdrop, but forgetting to keep the tale grounded or the characters realistic, managing to impress, for sure, but not to engage. In Post-WWII Communist-era Poland, one evil regime was replaced with another, Stalin taking over where Hitler left off. The best specimens of Slavic beauty and talent are brought together for a musical review that will feature traditional music and rural classics, sung by the young and danced by the lithe. The show will quickly turn into State propaganda as well, but for a time it’s all about the art, and it’s a lovely thing to see. During this period, musical director Wiktor falls in love with the temperamental Zula, who is a part of the company, and the pair begin a romance that will span time and place. Their love is chaotic and uncompromising, their lives headed in different directions, but their paths fated to intertwine no matter where they go, across guarded borders and down painful paths. 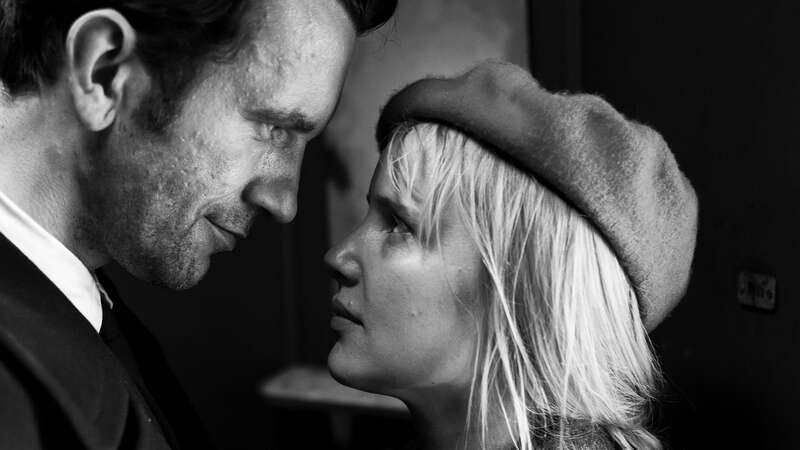 The ill-fated relationship between Wiktor and Zula is lovely, as is the set on which we watch them, painting a stunning portrait in black and white of a romance that can’t survive the cruelty of man. The cinematography was indeed excellent, as was the directing and the music, taking us right into this time of upheaval and right alongside the characters. But there were many things I did not like about Cold War, which kept me from falling in love. One was the jumps in time, almost like chapters in a book, traversing across the years without telling us what happened in between. This could have been six movies, or a miniseries, or a show, or something; basically I wanted more information, I didn’t want Wiktor to appear in a prison bald-headed with no background as to his time there. This also kept the characters very one dimensional, never letting audiences inside them to find out more, because they were always older and more battered, from one cut to the next. I simply couldn’t get a feel for the pacing and plot, it was all over the place, and I’m really disappointed in that fact. Not enough time was spent in the building, only in the showing, and that’s too bad, because I would have liked to have fallen in love like I did with Roma, it just wasn’t possible. The acting was hard to put a finger on really, we were never given enough time to decide if we liked these people or not, or to pick apart the finer details of the film. It was at once slow and over too fast, a plodding tale over a short run time that I wish had been delivered better, because I think, on another attempt, like a second weekend performance at the theatre, we could have witnessed a vast improvement, and possible even a classic.